Schools are the second most important indoor environment for children after their homes. The WHO has coordinated the development of a standardised methodology for national surveys in schools aimed at assessing exposure to health risk factors in school environments; these include indoor air pollution, smoking, poor sanitation and hygiene. National surveys were proposed to characterise the distributions of exposure levels within the country. Surveys confirmed progress towards targets set in Parma. Purpose: The aim of this pilot survey was to test the proposed survey design and data collection methods, to produce preliminary data characterising exposure levels in Albanian children and school to school variations in exposure, and to the transfer of technology that will help to develop local capabilities for prospective national surveillance in Albania. Design/methodology/approach: The pilot survey tested the methodology in different environments to produce sufficient data to assess exposure to environmental factors in Albanian schools. This was done by testing general characteristics of the school building, student population, ventilation rate, NO2, Formaldehyde, Benzene, access to properly maintained and serviced sanitary facilities, hygiene practices in student smoking on school pupils, etc. Findings: Poor quality and insufficient quantity of sanitation facilities, insufficient availability, poor operation and maintenance, high rates of exposure to mould and dampness, chemical pollution. Conclusion: It appears that the problems identifi ed in this survey were not due to a lack of regulations or standards, but rather due to insufficient inspections, surveillance and enforcement. Reference to this paper should be made as follows: Mataj, E., Andrey, E., Genci, D., Samira, M., Nurie, G. and Pranvera, K. (2015) ‘Assessment of Exposure to Indoor Air Pollutants in Schools: WHO Pilot Survey in Albania’, Int. J. 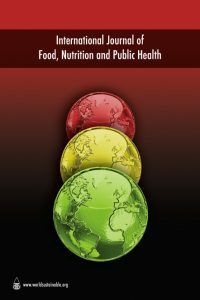 Food, Nutrition and Public Health, Vol. 7, No. 2, pp.81–90.